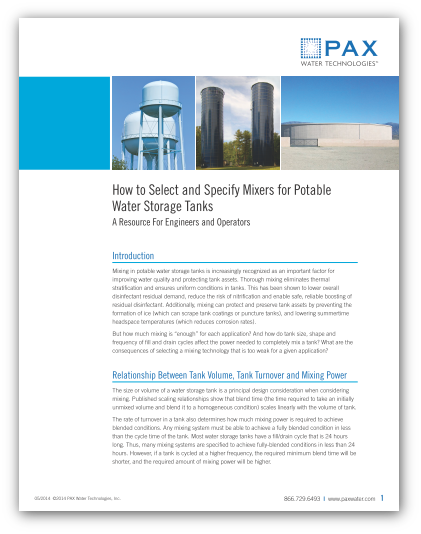 Mixing in potable water storage tanks is increasingly recognized as an important factor for improving water quality and protecting tank assets. Thorough mixing eliminates thermal stratification and ensures uniform conditions in tanks. But how much mixing is “enough” for each application?